I'm not really into candles like some girls are and scented candles make me sick. But then I discovered these by Christian Tortu. My brother bought me two candles for my birthday and I love them! 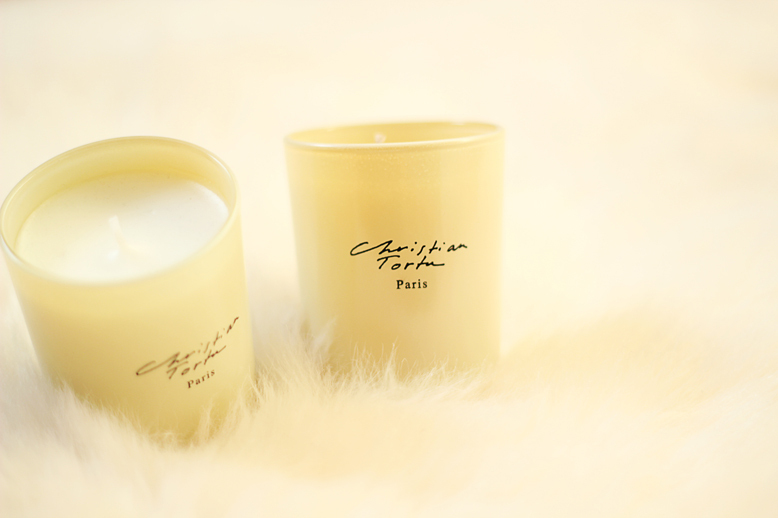 The candle itself is chic and adorable, great for home decoration, and the smell is amazing! One of them is called "Forest" and the other is "Grapefruit and Rhubarb". I love lighting candles during winter because they make every room seem more cosy. It's almost Christmas (well sort of) and these candles would be a great gift for your friends or family. I highly recommend them (especially if you have smelly animals or you're planning to bring your date home - Oh yeah, candles are romantic). You can find them at Senteurs d'ailleurs at Place Stéphanie 1A - Brussels or get them online!